Anchorage Cove is an exclusive selection of architecturally designed, single level homes on Torrens Title homesites that offers a limited opportunity to purchase a complete home without the stress usually associated with building! This is the ultimate Turnkey Package for those after a care free lifestyle! Ideally located in Stage 8, The Anchorage Release, Anchorage Cove offer the lucky purchasers a picturesque lifestyle at Billy’s Lookout, Teralba. 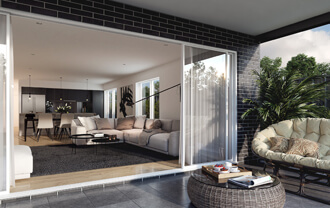 Choose from a range of facades, roof lines and colour schemes these three beautifully presented residences have been thoughtfully designed to maximise lifestyle enjoyment whilst minimising maintenance and aftercare. Each property boasts generous living space with three generous bedrooms, two bathrooms, two car parks and a beautiful alfresco area. Each home offers all the creature comforts you’ve come to expect including a master suite complete with walk-in robe and stylish private bathroom. 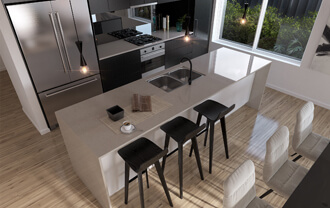 The air conditioned open plan living space begins in the gourmet kitchen complete with engineered Quantum Quartz stone, and flows effortlessly across the living area and through double glass doors to a generous alfresco entertaining area. Designed for the discerning buyer, Anchorage Cove offers the care free lifestyle you’ve always wanted.